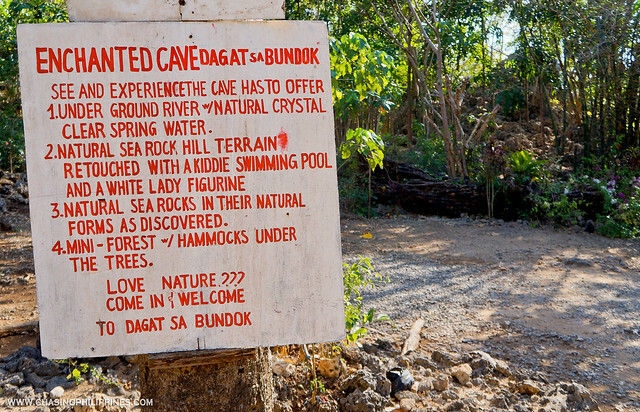 Enchanted Cave is one of the must-visit attractions in Bolinao, Pangasinan. 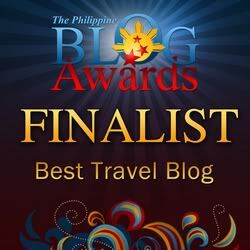 The entire place is really enchanted since it is like a huge coral reef that emerged from underwater. 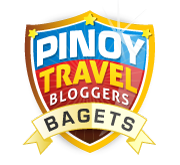 Probably, the signboards would explain it in a way. 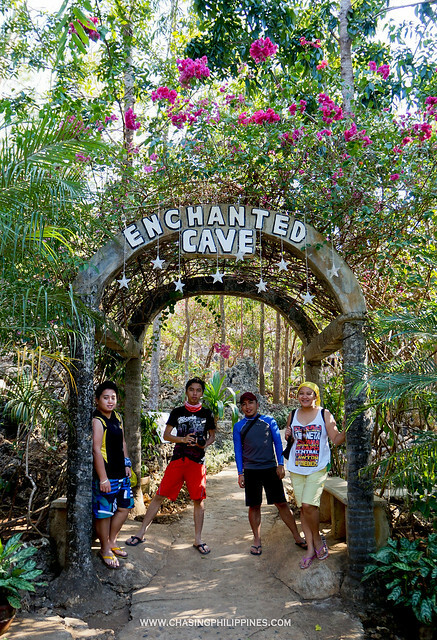 Since Enchanted Cave is gaining popularity among travel enthusiasts, the entrance fee continuously increases. 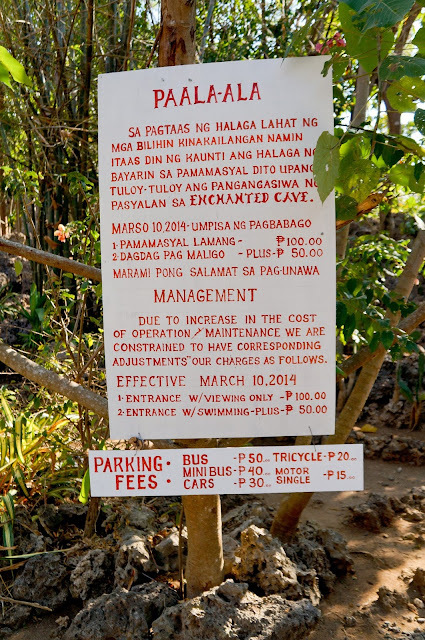 As of this writing, entrance fee is Php50.00 and Php150.00 if you are planning to take a dip inside the cave. 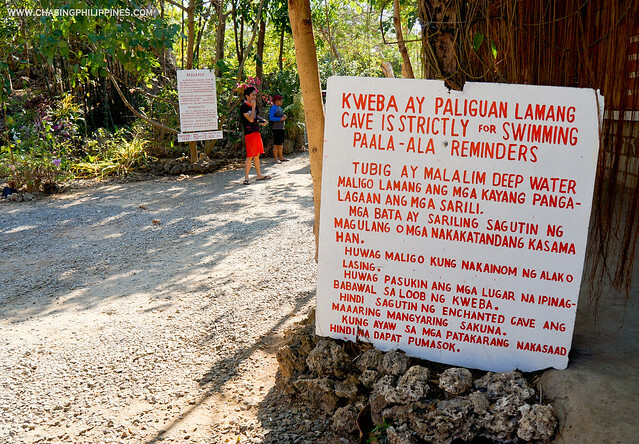 Somehow, I developed this fear of caves when I was in Puerto Princesa Underground River; the thought of a dark, muddy, and stinky cave started to haunt me when I saw the stairs to Enchanted Cave. 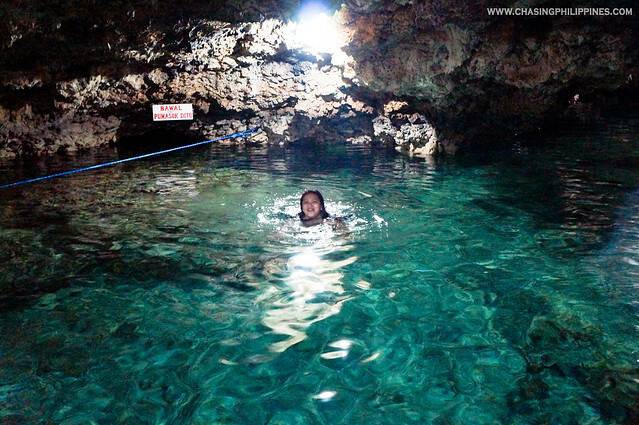 The water inside the cave is deep and it is not recommended for those who do not know how to swim. The water is clear and is not stinky too. The guide said that there is a small passage to the sea at the very end of the cave and that is where the water comes from. 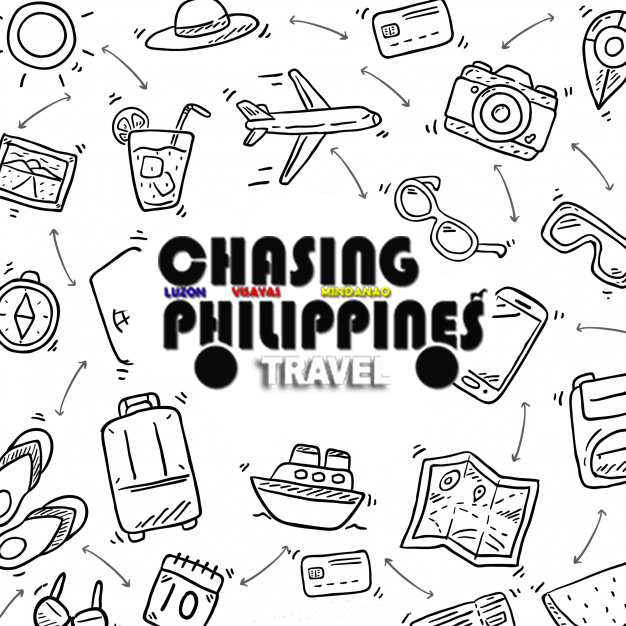 The guide also said that the reason why the water is clean and clear is that it is being replaced almost every 4 seconds because of the air coming from the small passage. These words make it more enchanted since 1) the water is not salty and 2) one would not see any movement from the water. 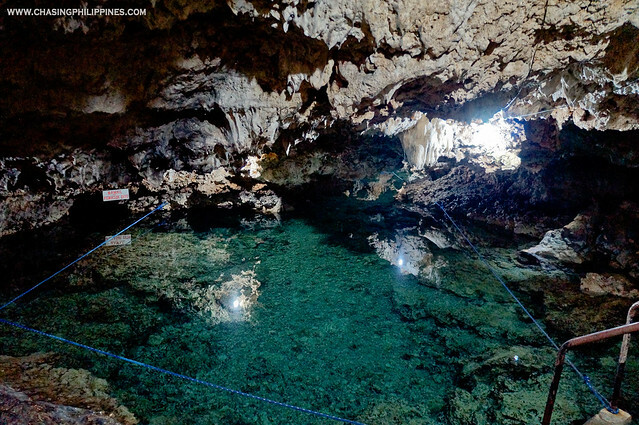 Enjoying the clear water of Enchanted Cave. The bottom does not have algae or any other strange thing. 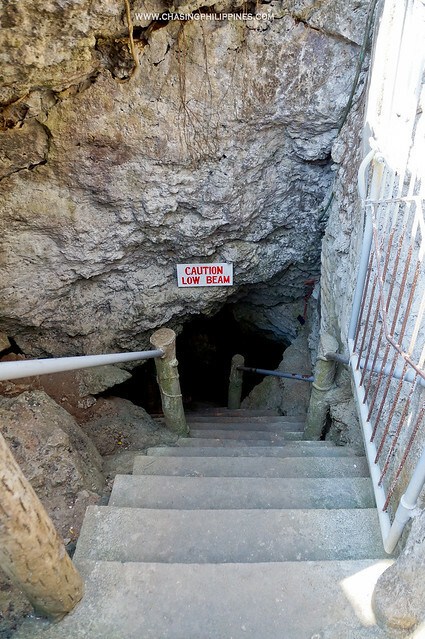 A friend of mine tried to go beyond the blue ropes and attempted to see the end of the cave but he failed, Enchanted Cave is huge if explored. Unbelievable. 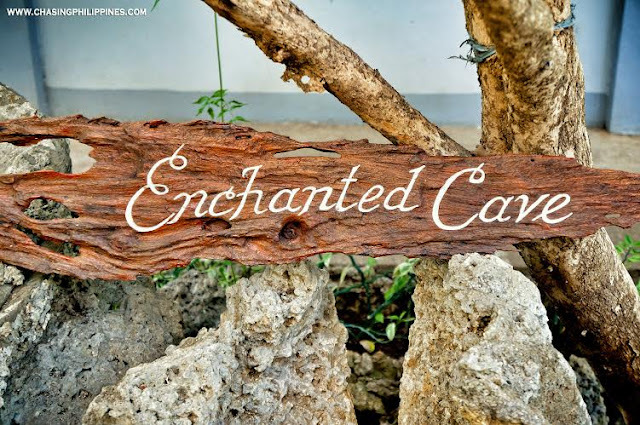 Enchanted Cave truly lives by its name!